Lancaster Middle School (LMS) visual arts students are all over the place – literally. The students and their art teacher Marilyn Sprouse designed the Bay’s Bounty boots you see around town. They are selling Christmas ornaments at the Rappahannock Art League Art Center and recently completed a backdrop for Kilmarnock Town Centre Park. 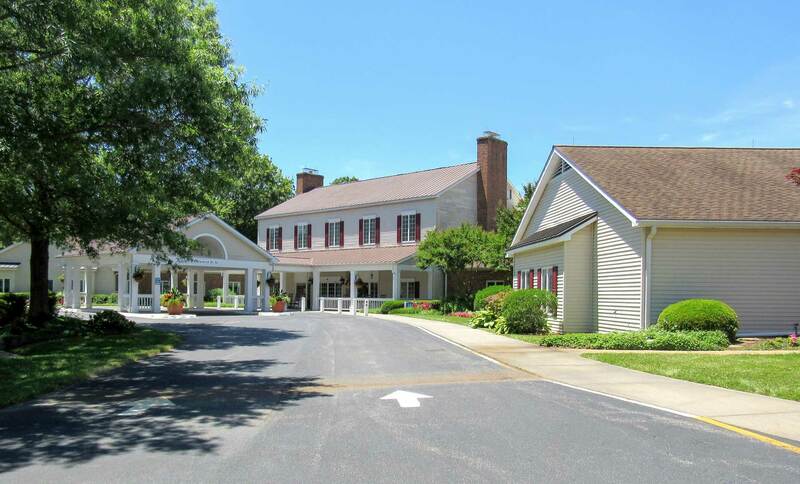 But they wouldn’t miss the LMS annual art exhibition at Rappahannock Westminster-Canterbury for anything. 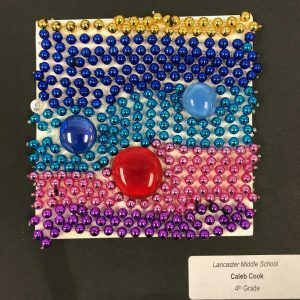 Led by Sprouse for 19 years, the LMS art students have been exhibiting their work at RWC since the art teacher joined Lancaster County Schools in 1999. 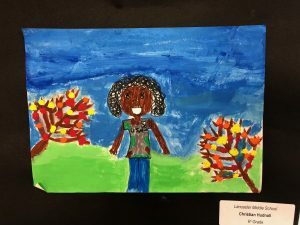 This year’s RWC exhibition includes “Kindness Matters” posters; “Modern Mosaics,” which incorporates Mardi Gras beads; stencils; funny collages; drawings of what a hero looks like; Christmas pictures; still life creations and paintings. 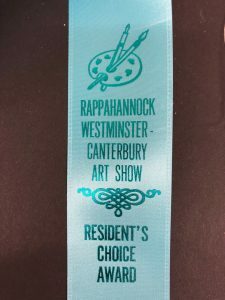 New this year are “Resident’s Choice Award” ribbons that Sprouse created so RWC residents can vote for their favorite art. The ribbons will be available for all exhibits, but will kick off with the LMS show. An art reception for the December Show will be 5 – 6 pm. Dec. 11 in RWC’s Chesapeake Center and is open to the public. 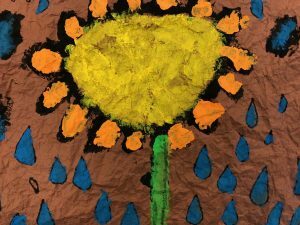 Residents and community members are invited to view the exhibition 9 a.m. – 5 p.m. daily throughout December in Rappahannock Westminster-Canterbury’s Gallery Hall.